slighly each time I’ll log here my actions for future reference. 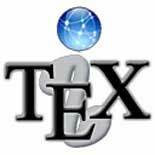 not know of a better TeX system around. settled, it is now time for the big gun : TeX itself. (77Mb) which contains TeX and Ghostscript 8 and the i-Installer! i-Installer to the Applications/Utilities Folder and to the Dock. and do a texhash from the command line (as root).